In the first post of this series, I posed the question, how can it be that in the hospital-based studies, where participants are closer to death, the reports of distressing NDEs are at zero percent, and percentages of pleasant NDEs are typically 20% lower than in studies of the general population? Shouldn’t all those rates be higher, or are healthy people making up stories? These are the academic researchers who know how to do studies expertly; should we trust their data more? In hospitals, we assume, a fair number of patients are close to death. It only makes sense, then, that hospitals would be where most NDEs occur. A great many accounts bear that out, as experiencers describe their surgery-associated NDE or what they have seen of the ER during an out-of-body episode. That has certainly been the assumption on which the hospital-based studies were designed: Go where the subjects will be. For an even richer sample, if you want a population that is unequivocally near death, study NDEs of people in cardiac arrest. Makes sense. Unfortunately, sometimes “sense” doesn’t pan out. Consider the following scatter chart. (Please do. In near-death studies, where quantifiable data is so hard to come by, any piece of numerical information is downright thrilling.) I can hear some of you wailing with excitement; but don’t worry, the chart simply gives a useful sense of what was where, and when. The red dots indicate reports of distressing NDEs published in reputable journals; black squares indicate studies reporting 0% distressing NDEs; the left column shows the approximate percentage of dNDE accounts in each study; and the bottom row shows the year the study was published. An “H” (which is registering here as a blob) below a black square indicates a hospital study. My apologies for the blurry translation from .jpg to WordPress image. Studies: 1975, Moody; 1978, Rawlings; 1979, Garfield; 1980, Ring; 1981, Evergreen; 1982, Gallup, Sabom; 1983, Bush; 1985, Grey; 1987, Sutherland; 1992, Atwater; 1993, Rawlings; 1995, Serdahely; 2000, Rommer; 2001, Knoblauch, Parnia, vanLommel; 2003, Greyson; 2005, Schwaninger Note: Total of dNDEs and the average percentage given here differ from those on the previous tables because not all those studies reported percentages. * The Gallup study reported 1% hellish NDEs but as many as 28% in some way unpleasant. This chart is what I mean about how sometimes questions absolutely jump off a chart. Why, with all those red dots indicating the existence of distressing NDEs (332 of them in those studies), did no hospital study report finding a single one? For that matter, why is it that the reported incidence of any NDE is lower in the hospital studies than in studies of the general population? I believe that four principal issues can explain the disparity. First, why do hospital studies report so many fewer NDEs than general studies? 1) Research design and stringency of study criteria. The general studies (non-hospitalized participants, often self-selected) have largely been designed to answer questions like, “What is an NDE?” They provided the original first-person testimony establishing the existence of near-death experience, with some attention to demographic information. The general studies have been retrospective (including NDEs both recent and decades in the past), inclusive of all reported circumstances. What they may indicate is the prevalence of NDEs; that is, how many people are likely to have an NDE over the course of their lifetime no matter what the circumstances. By contrast, the hospital studies have observed much stricter research protocols. They are prospective studies (catching any NDEs shortly after they occur). 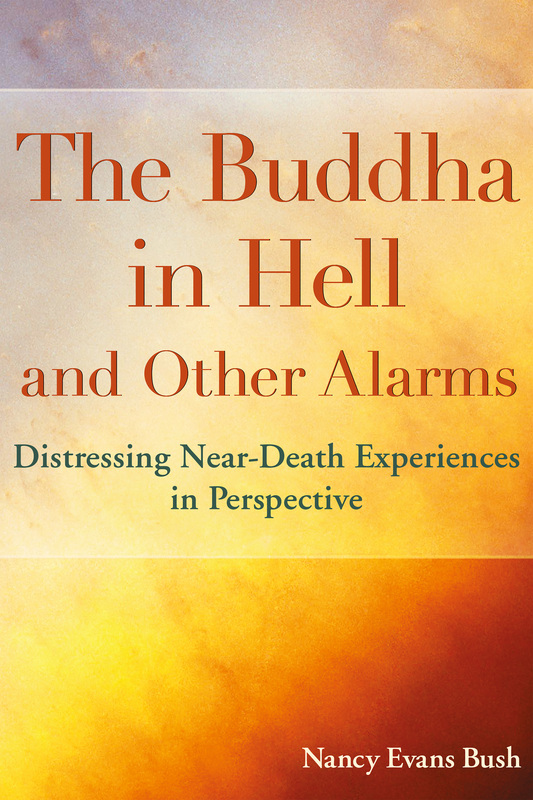 As described by Bruce Greyson (The Handbook of Near-Death Experiences), what these studies have reported is what the medical field terms the incidence of NDEs: that is, the number of NDEs reported by a specific group (the study participants) who were admitted to the study according to their recent experience of predefined medical conditions, so that it is possible to be relatively certain that the NDEs being reported occurred in the context of that condition. In other words, how many people in a strictly defined medical condition are likely to report having an NDE. It’s like tea strainers: Prospective studies have a finer “mesh” than general studies. The finer the mesh (the tighter the study requirements), the fewer tea leaves in the cup (and the fewer the experiences in the study). 2. The nature of the population being studied. However ardently the participants in a general study believe they were close to death—and not all do—there is usually no objective information to say their perception is correct. Many of them were basically healthy, although perhaps injured or with a temporary illness. By contrast, in the five hospital studies here, the study participants are known to have been clinically dead and resuscitated, many of them with multiple serious health conditions. Contrary to what TV shows routinely indicate, cardiopulmonary resuscitation, or CPR, is hardly a cure-all. One recent study in the United Kingdom reported that even with optimum conditions, following CPR the immediate survival rate was 38.6%, with 24.7% surviving 24 hours later, 15.9% alive to be discharged, and 11.3% surviving at 12 months. American Heart Association figures show that of witnessed in-hospital cardiac arrests, 48% survived immediate CPR, with 22% surviving long enough to be discharged. 3. As has been reported consistently, it takes a long time for people who have had a distressing NDE to be ready to talk about it. But given the statistics above, by the time people with an NDE coincident with cardiac arrest might be ready to reveal their distressing experience, most of them have died. To repeat: Even the best-designed study cannot draw out an NDE, particularly a distressing one, if the person is not ready or able to talk. Please note: These are my opinions. Clinicians or NDErs who have an alternative to any part of my explanation are invited to post their views. And a P.S. : The dots and squares on that chart show all the reputable journal-published studies of near-death experiences over the 30 years 1975-2005. You may wonder “Why so few?” There is a short answer: No funding. We’ve come a long way, baby, but it’s an even longer way to mainstream acceptance. What are “other” near-death experiences? What to say about “Dancing past the dark.” Well, first of all this is a blog largely about the “other” near-death experiences–the ones that aren’t glorious but that must be talked about. They do exist. I had such an experience, which shook me so badly I didn’t tell anyone about it for a couple of decades. It has taken almost thirty years, almost full time and including a master’s degree, for me to piece together enough information to make this conversation possible. Who has them? Just about anyone. What do they mean? Long answer; read this blog and the book (which is coming). Is it true that people who have one are destined for hell forever? I think not. This emphatic statement will alarm some theologically minded readers, but I invite you who feel that way to stick around; I also believe there is a way in which hell is quite real. Let’s talk. It should at least be interesting. There will be answers to frequently asked questions … and books I’ve found helpful… and a book coming along (see sample chapter in this very spot). You can let me know what else you’d like to see. To answer “so who’s she?” questions, see About the Author. Second, “Dancing past the dark”–a title I hope will change–will be about other things also–odd bits discovered during that thirty years of study, books you might like to read, thoughts about how we decide what things mean, and whether religion still makes sense or has a purpose. Sometimes real-world posts about whatever is going on in the salt marsh outside my study windows. I will do my best to respond to comments but cannot promise long, detailed correspondence about individual experiences. And be warned in advance: Rude, pointlessly hostile, or inane entries will not see the light of publication. Disagreement is welcome, but if it is not civil, it will be invisible.